The iconic camper gets a makeover with light illuminating your space with funky style and a warm glow. 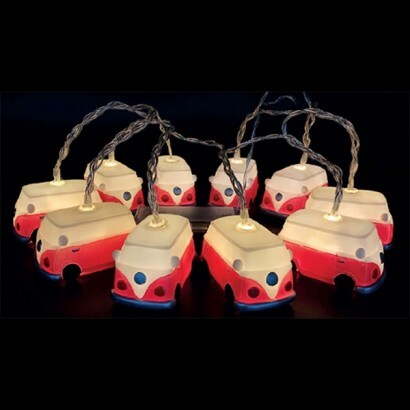 Battery operated, these striking red camper van lights give a laid back retro vibe to your space encouraging relaxation with atmospheric light. Formed from soft touch plastic, these funky campers remain cool to the touch making them suitable for use anywhere in your home, even in young camper fans rooms to cast a groovy soft glow.